Over at A Day for Daisies, the challenge theme is to Case a dt card and I chose Juliana's gorgeous creation (I just turned it as that suited the way this pretty ballerina is turned better). I'm also entering these other challenges: Chocolate, Coffee and Cards (Fancy and use pink), Allsorts (Frame it) and Crafty Catz (Add bling). Very bright summery card, lovely image. Thank you for joining in our Frame challenge this week at Allsorts. Beautiful card, so sweet! 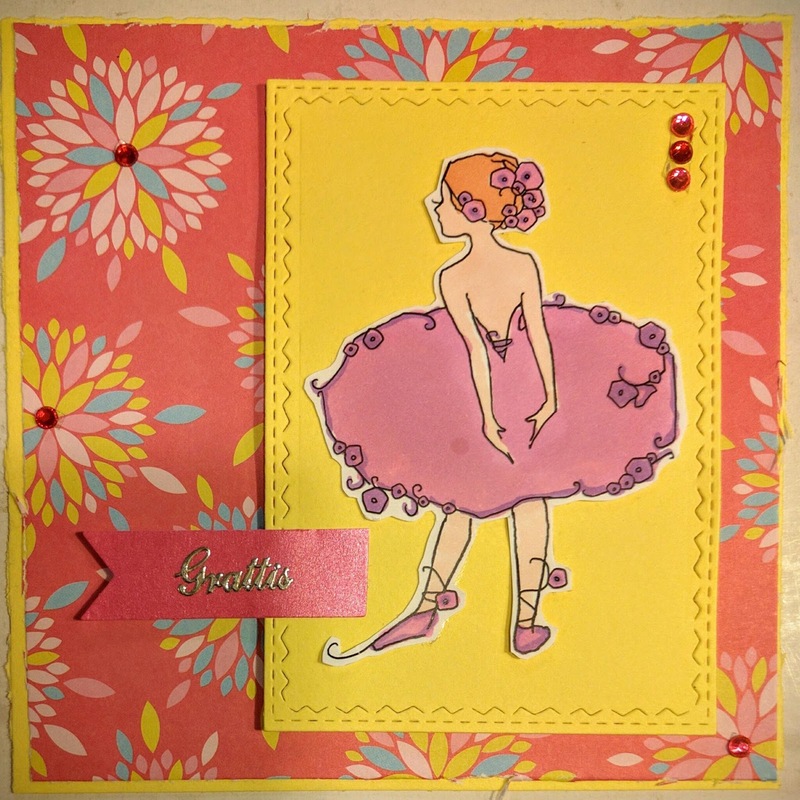 Thank you for joining our fancy and pink challenge at chocolate, Coffee & Cards. So pretty! Thanks for joining in the fun at our A Day for Daisies challenge! Good Luck!